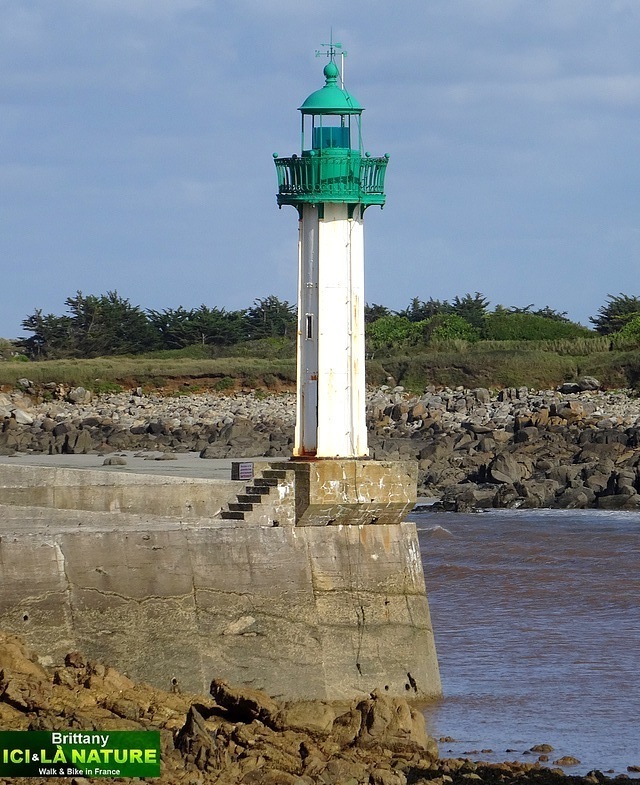 Brittany is a region of France with a strong identity. 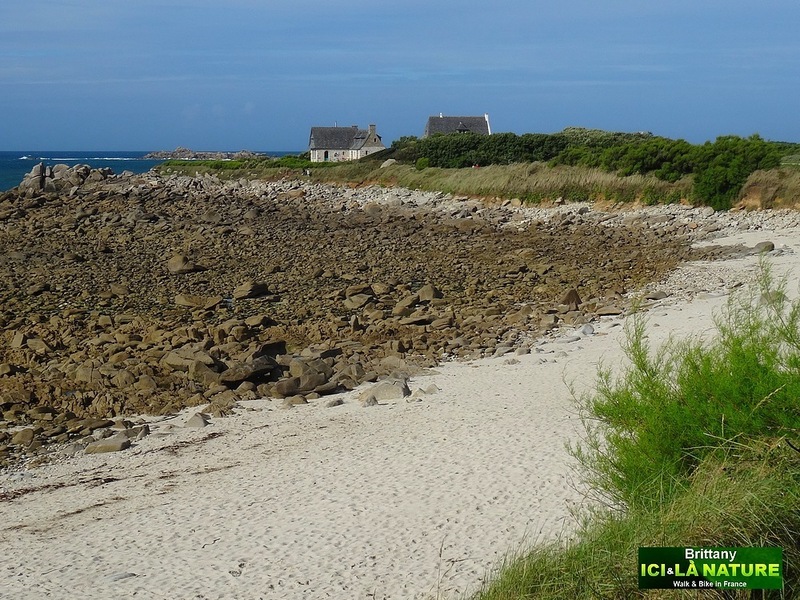 The Bretons (British) are Celts, they have preserved their own language still taught at school, (even if it is not really used), they have their own traditions with an incredible number of tiny fishing ports, sandy coves, granite houses and a rugged coast where hiking is very appreciated here. 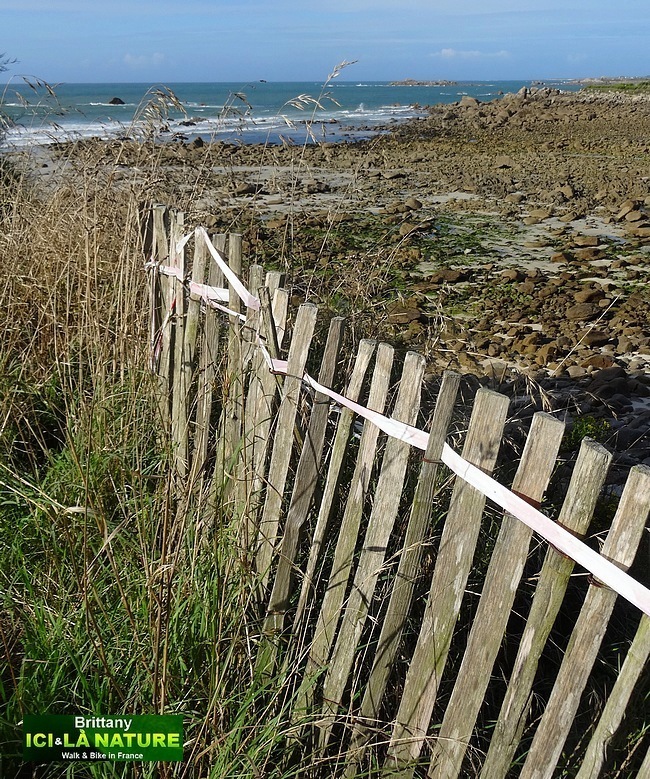 These pictures have been taken near Roscoff (Number 7 on the map) on GR34 which is also called “Sentier des douaniers” (Path of the Customs’officer) created in the 18th century to discourage smuggling.This 1800 km (1120 miles) footpath is perfectly waymarked with the red and whites blaze signposts, and gives you access to the secrets of wild Brittany. 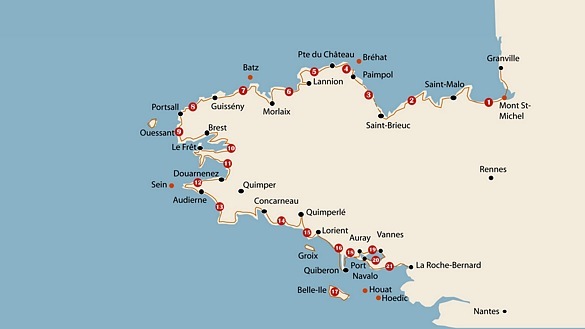 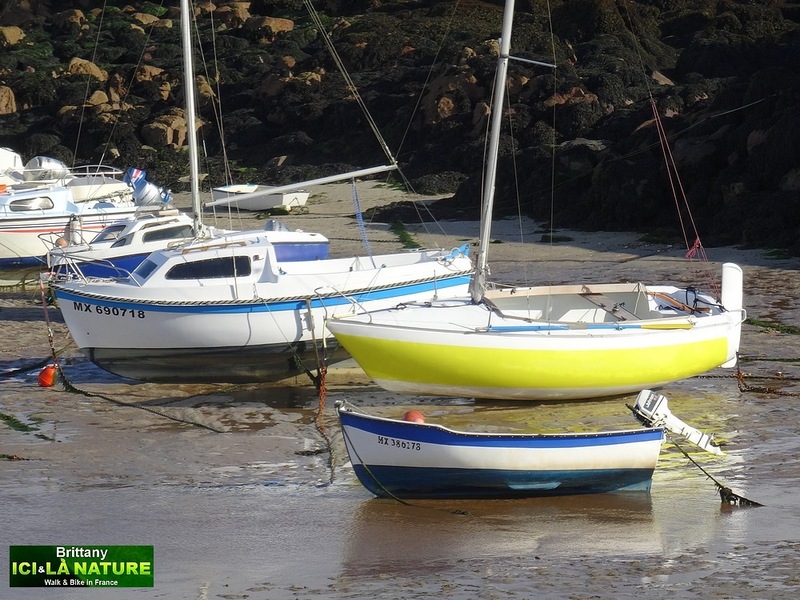 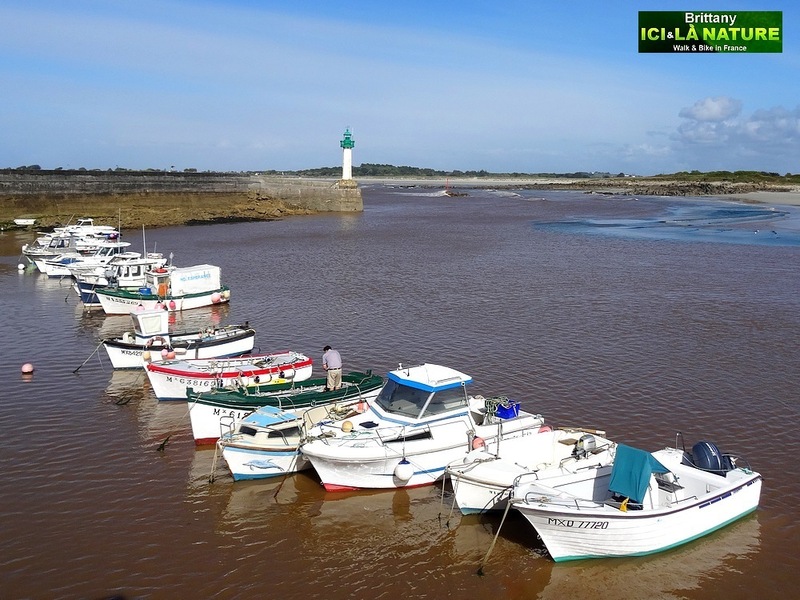 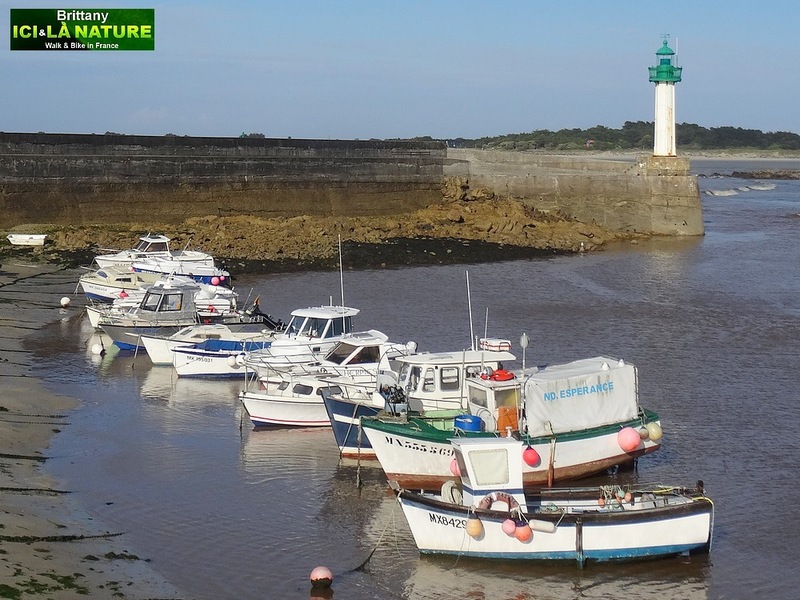 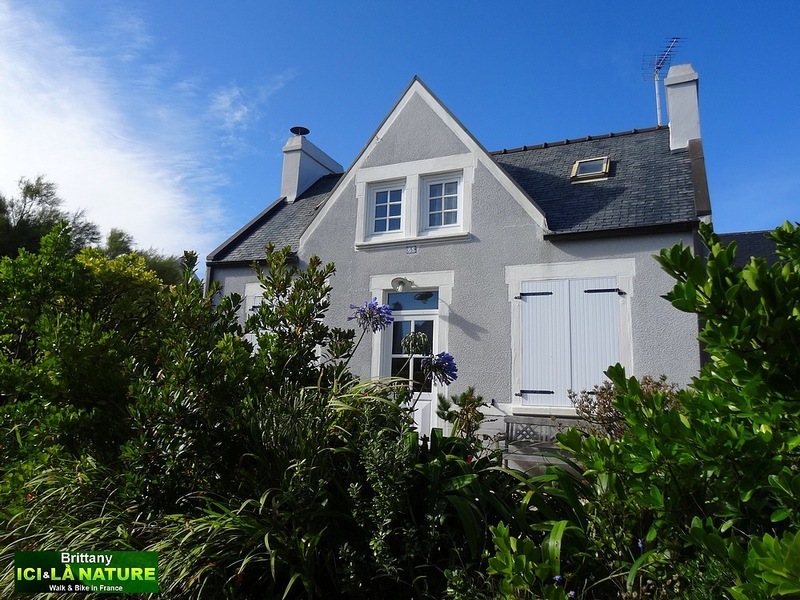 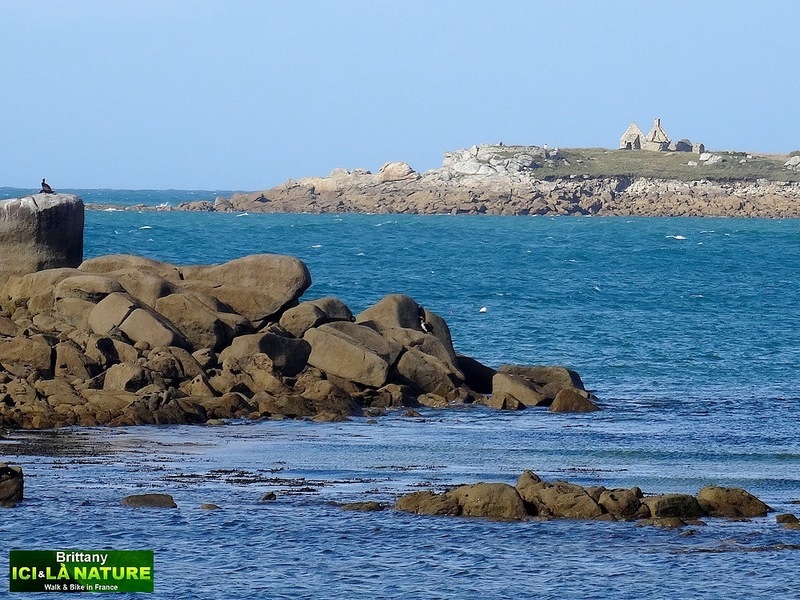 The complete tour of Brittany can be done on this trail, starting from Granville or Mont Saint Michel and pursuing westward to Saint Brieux, Brest and ending in the Gulf of Morbihan in Port Navalo, Southern Brittany. 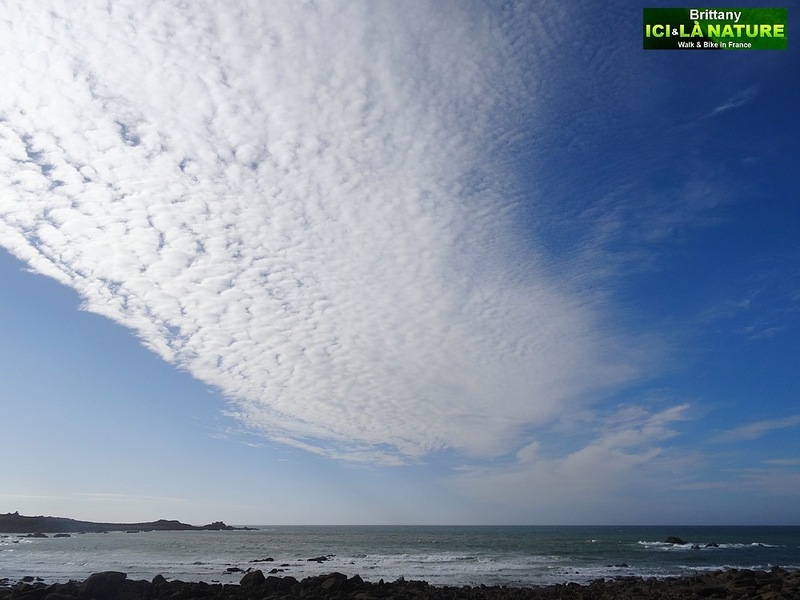 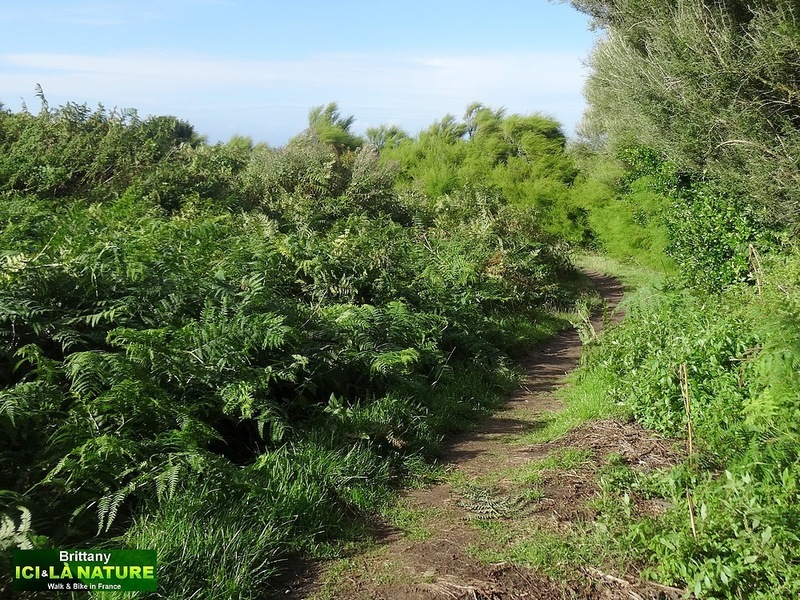 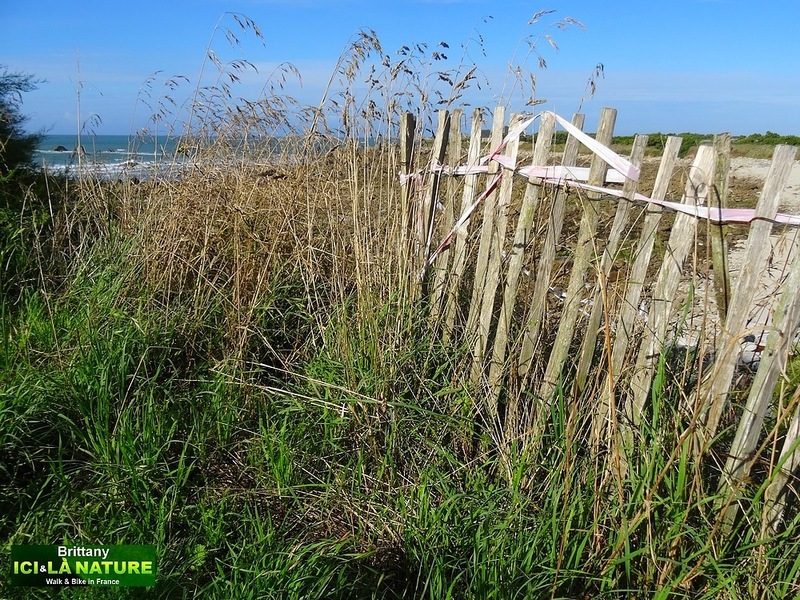 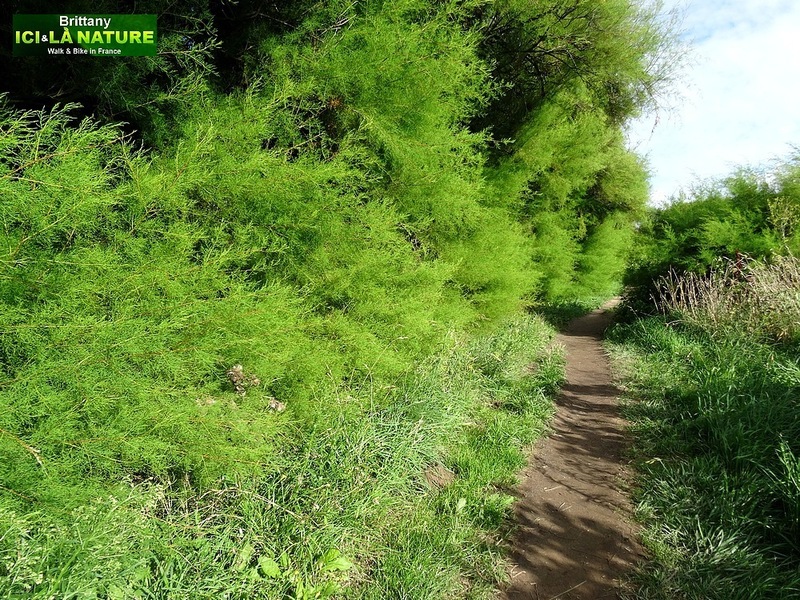 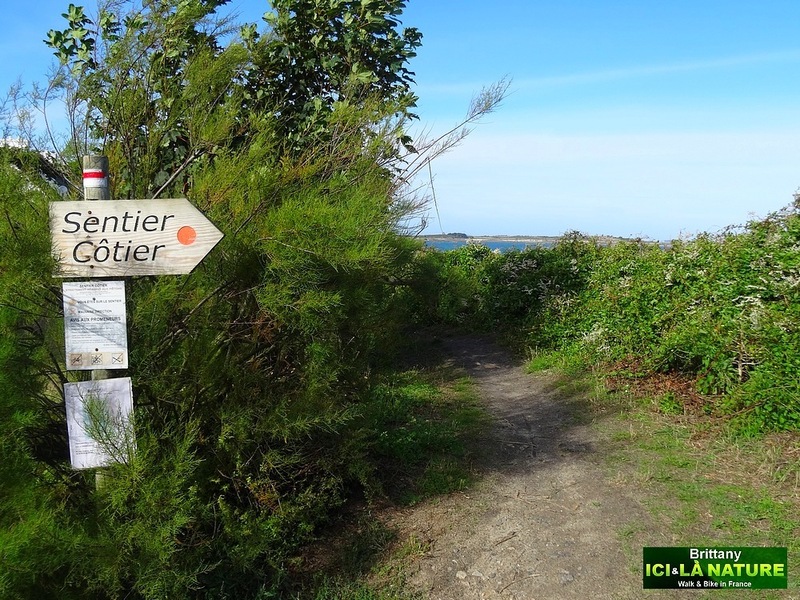 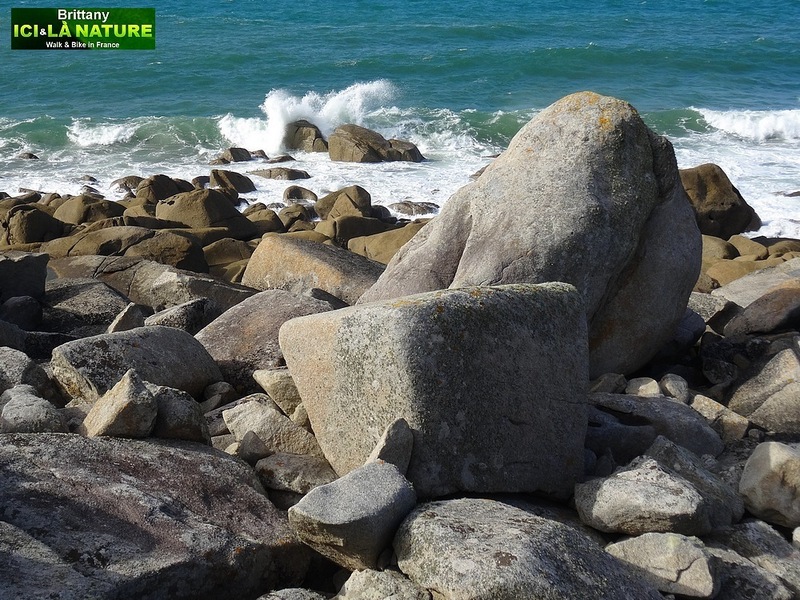 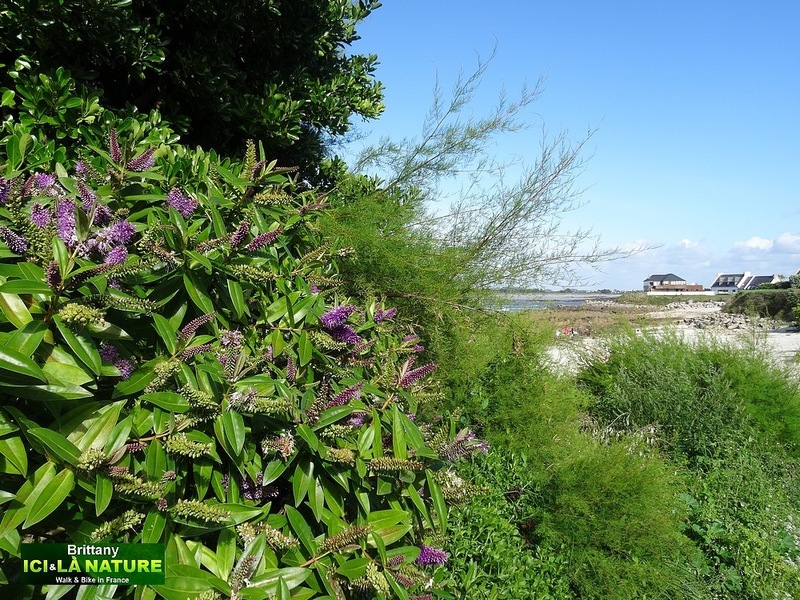 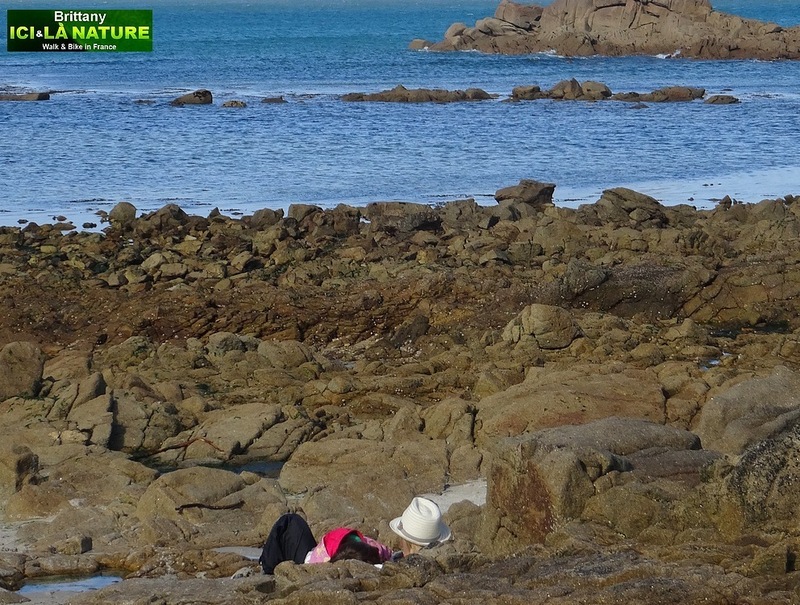 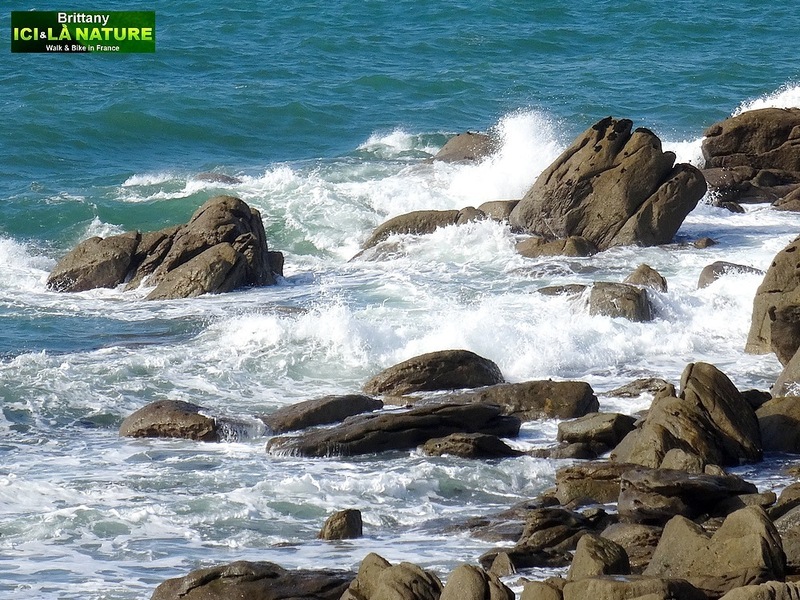 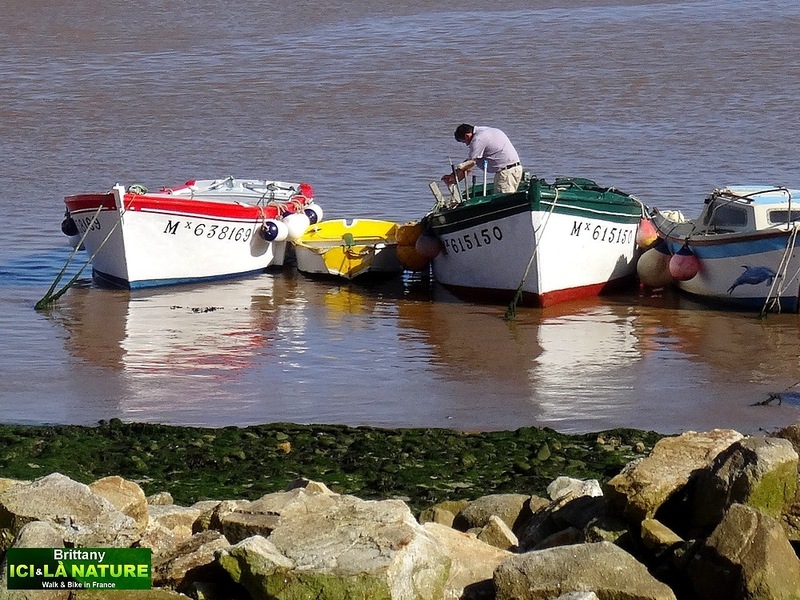 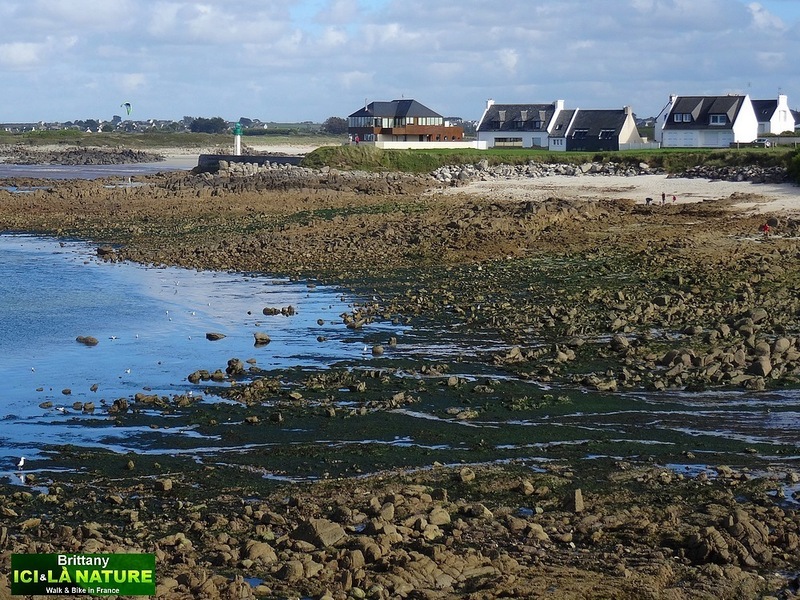 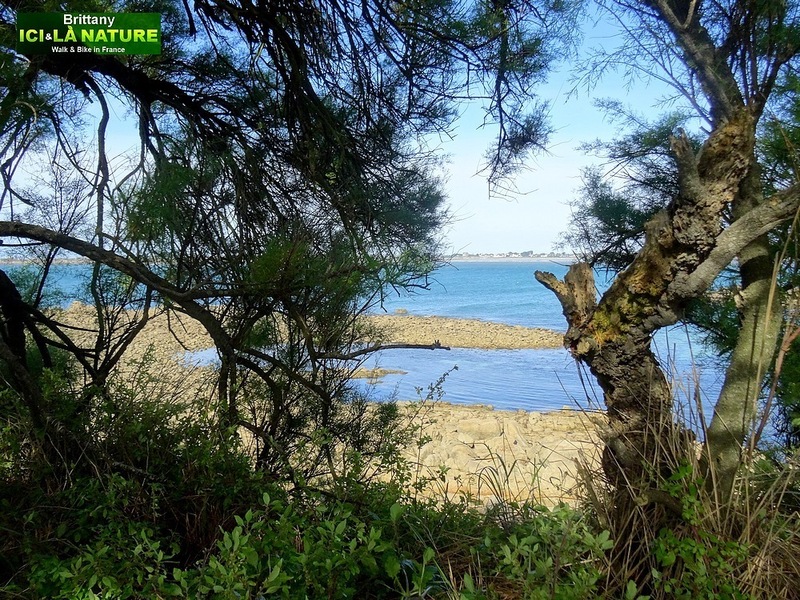 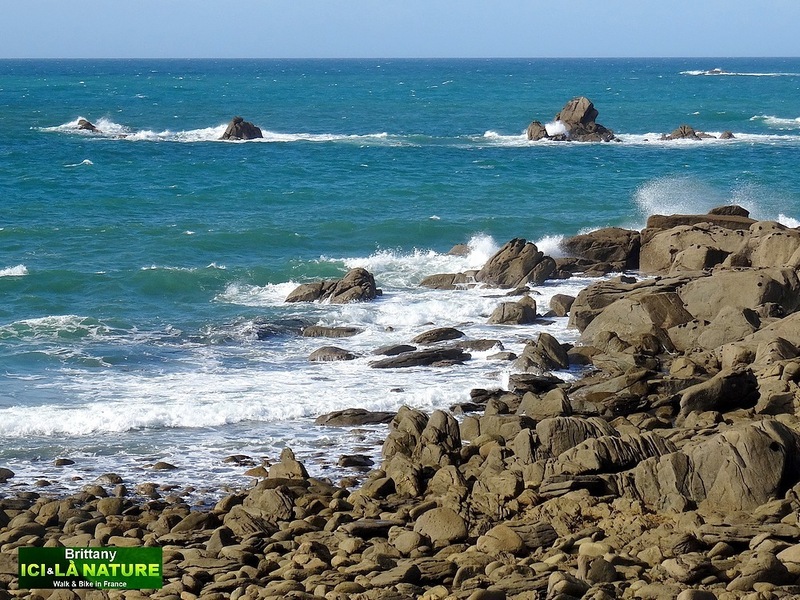 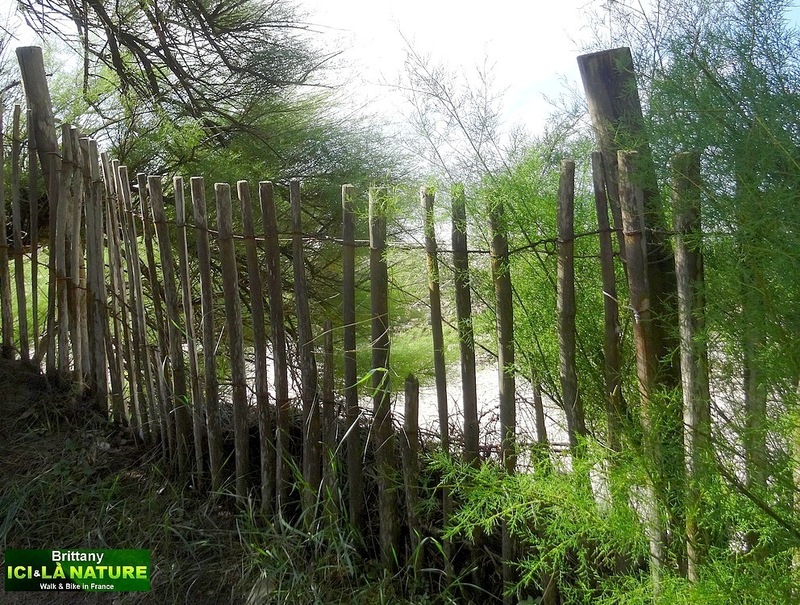 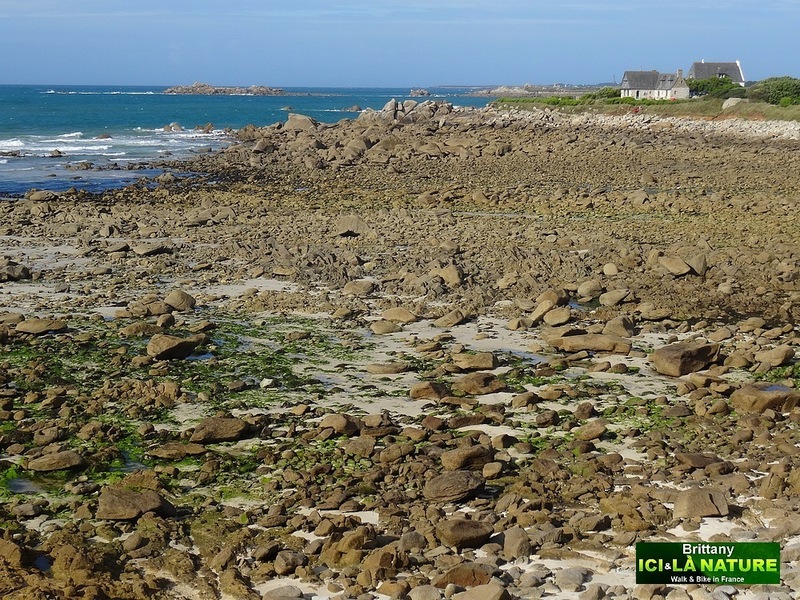 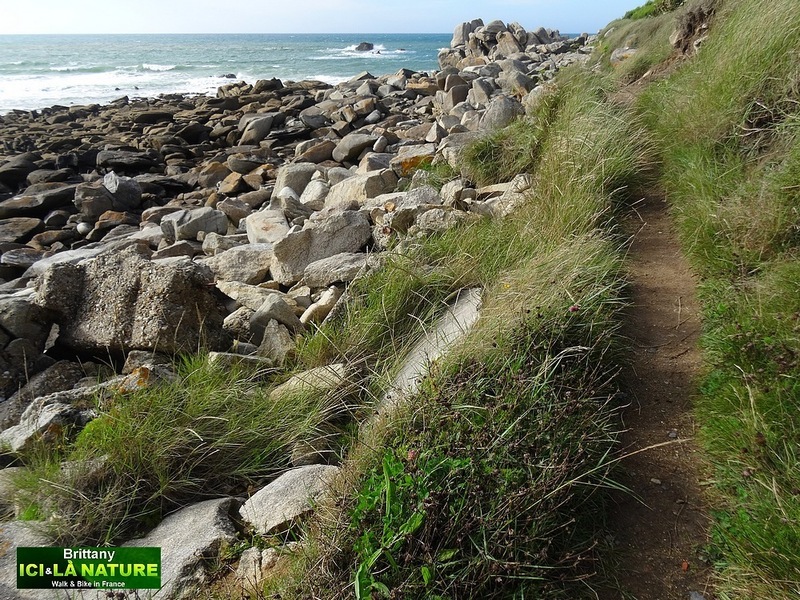 Brittany : walk on the GR34 along the coast with Ici & Là Nature. 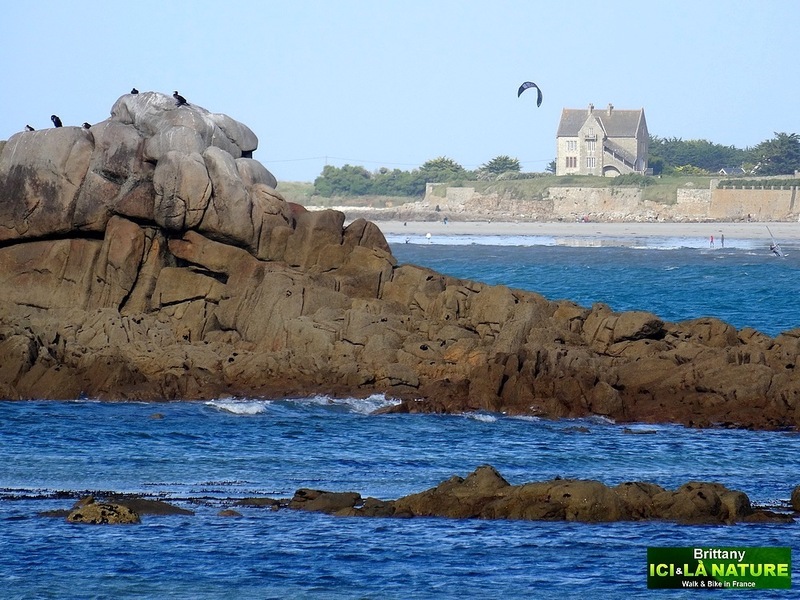 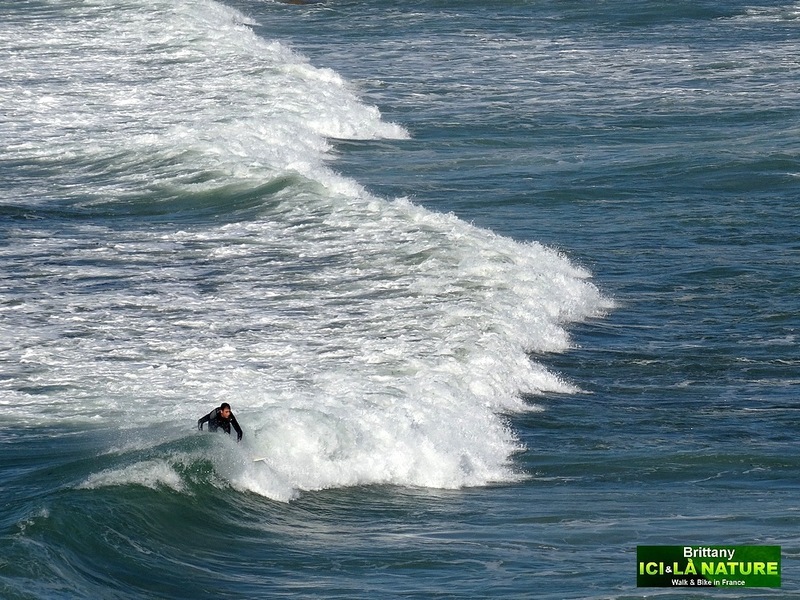 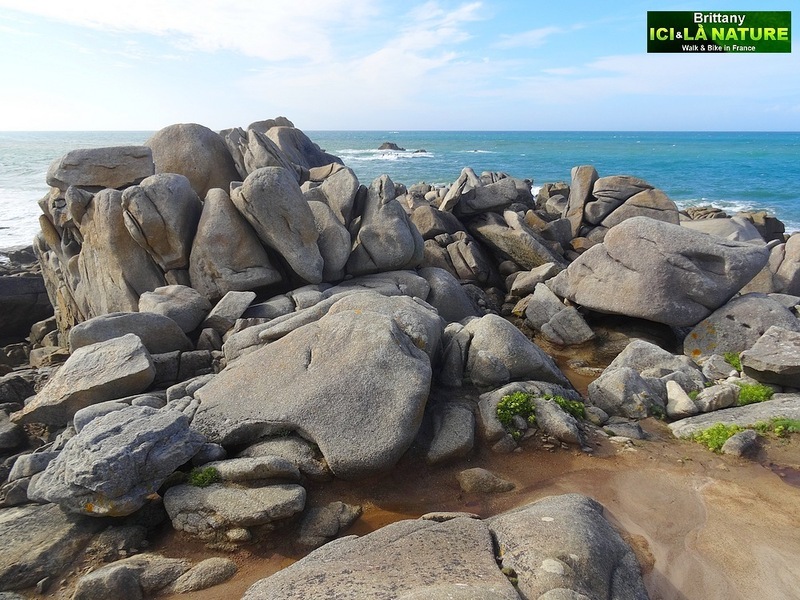 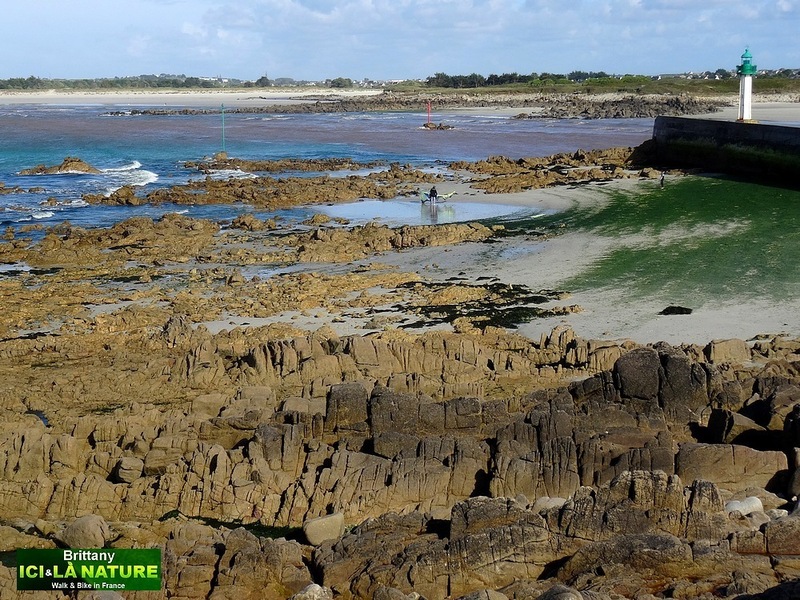 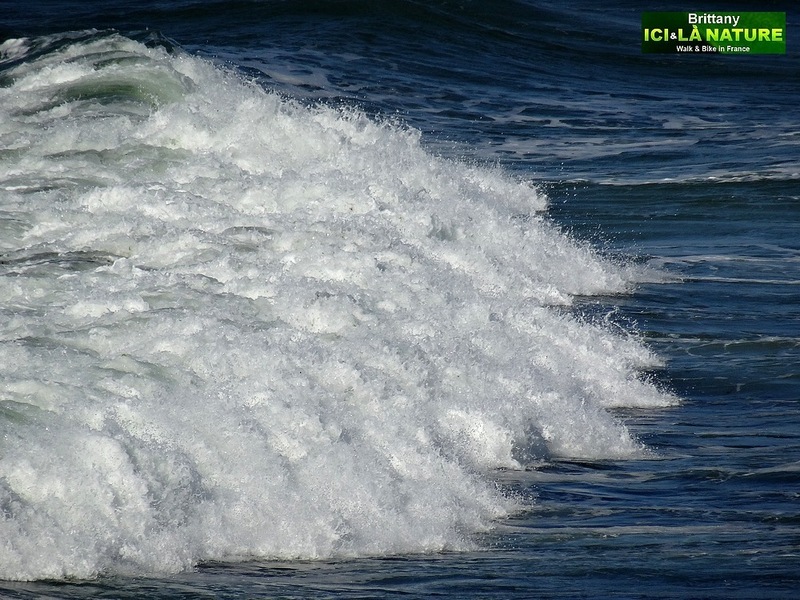 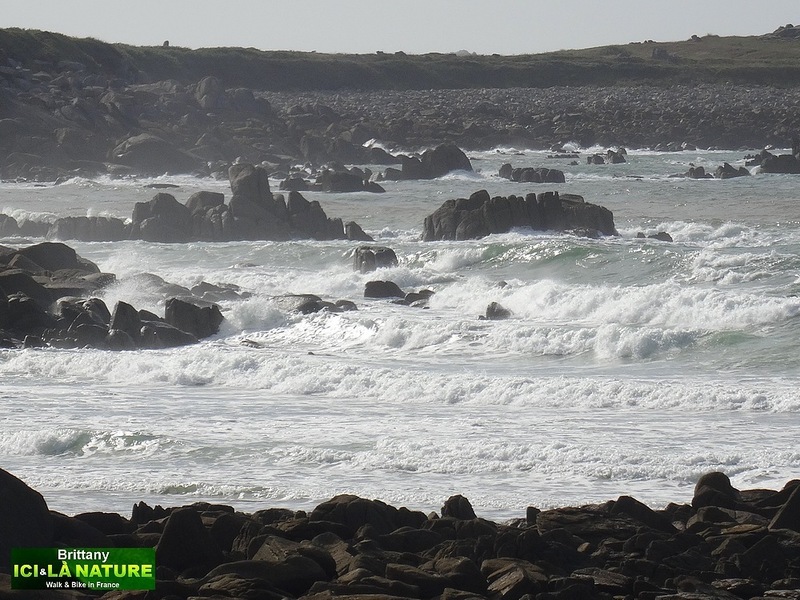 Brittany : Thalassotherapy and guided easy walking with Ici & Là Nature. 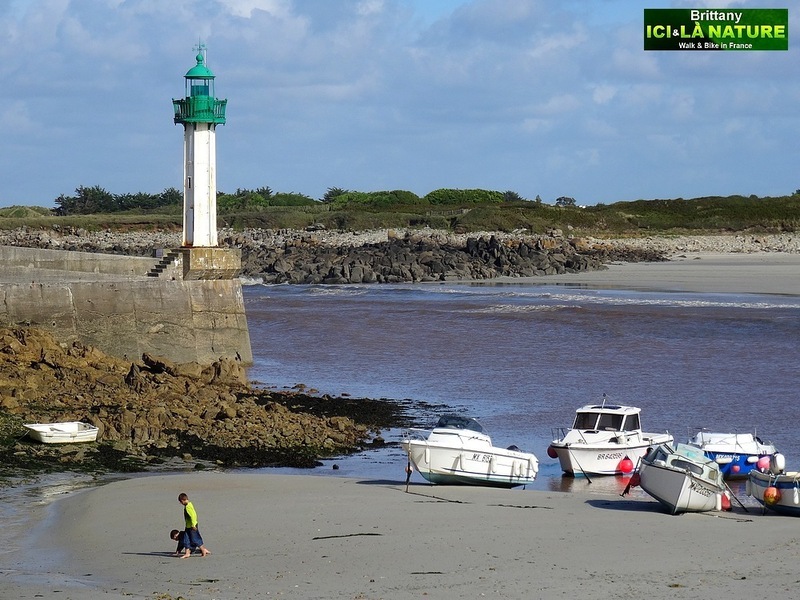 Brittany : self-guided walking on GR34 with Ici & Là Nature. 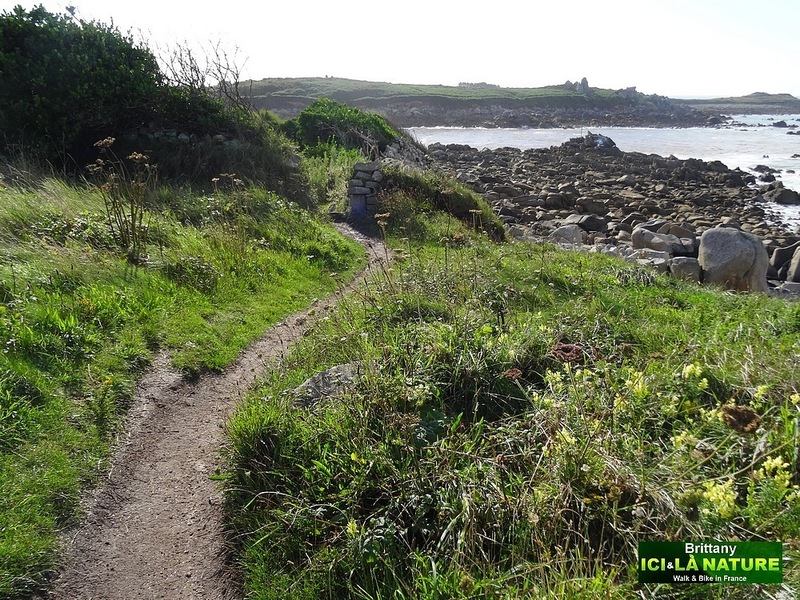 These pictures have been taken near Roscoff (Number 7 on the map) on GR34 which is also called “Chemins des douaniers” (Path of the Customs’officer) created on the 18th century to discourage smuggling.This 1800 km (1120 miles) footpath is perfectly waymarked with the red and whites blaze signposts, and gives you access to the secrets of wild Brittany. 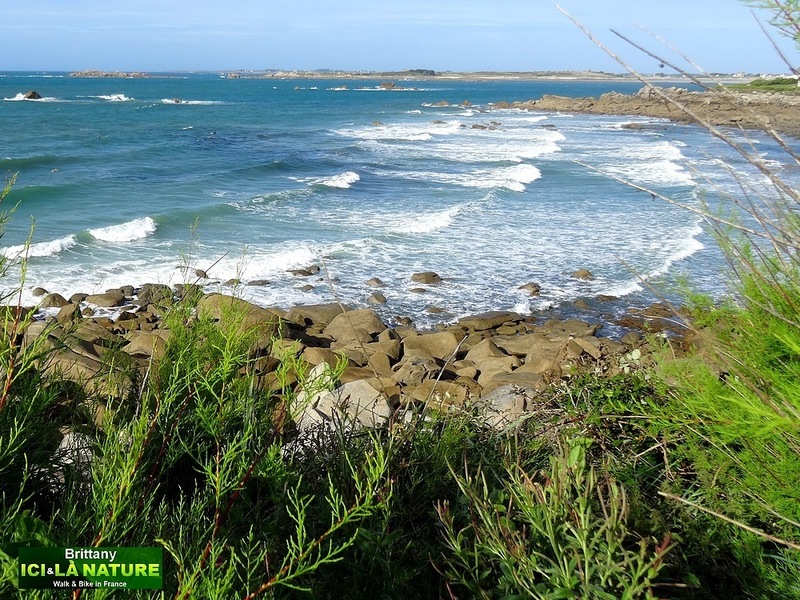 The complete tour of Brittany can be done on this trail, starting from Granville or Mont Saint Michel and pursuing westward to Saint Brieux, Brest and ending in the Gulf of Morbihan in Port Navalo, Southern Brittany. 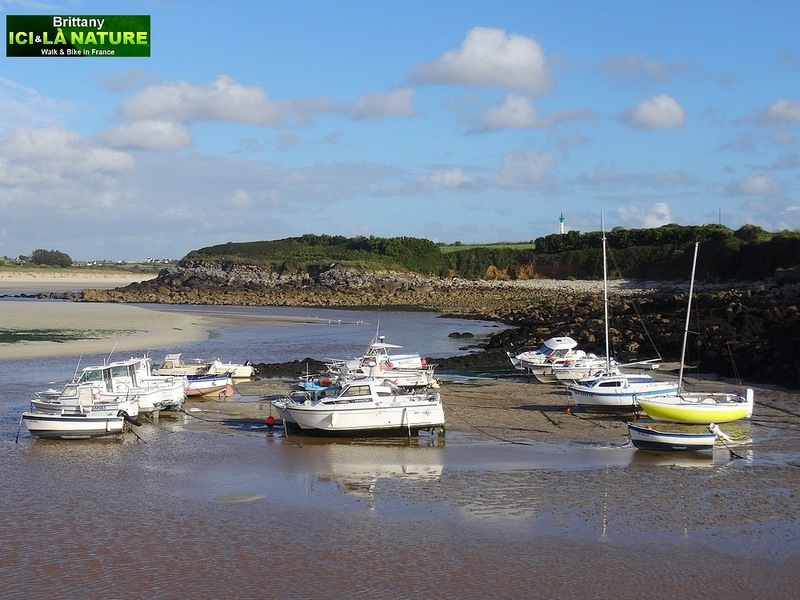 Brittany : ask for information on self-guided walking on GR34 (Brittany circuit) . 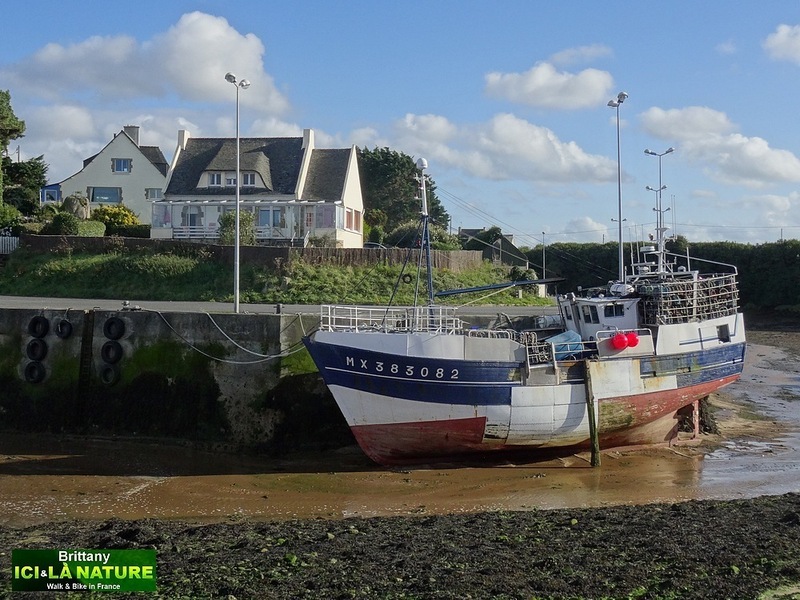 great pictures, you are a good ambassador for France !